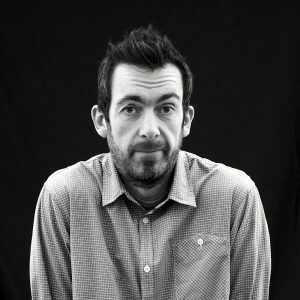 Ben Spatz (Project Leader) is Senior Lecturer in Drama, Theatre and Performance at the University of Huddersfield; Arts & Humanities Research Council Leadership Fellow (2016-2018); and author of What a Body Can Do: Technique as Knowledge, Practice as Research (Routledge 2015). They convene the Embodied Research Working Group within the International Federation for Theatre Research and edits the Journal of Embodied Research, a peer-reviewed video journal that launched in 2017 from Open Library of Humanities. Recent invited talks and workshops include ‘What is a song?’ (The British Library), ‘Beyond Performer Training’ (University of Kent), ‘An Epistemic Context for Martial Arts’ (University of Cardiff), ‘Decolonizing Song-Action: A Laboratory Report’ (Maynooth University), ‘Re-Reading Grotowski in the Anthropocene’ (University of the Arts Helsinki), and ‘Future Documents: Video Epistemology and Embodied Research’ (University of Manchester). 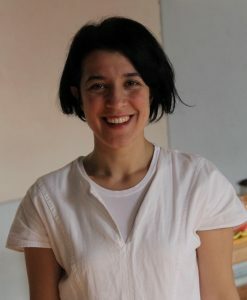 Nazlıhan Eda Erçin (Researcher) is a theatre/performance artist, social researcher and educator, teaching Physical Auto [Biographical] Performance at the University of Exeter. She holds a BA degree in Sociology with a Minor in Political Science from Middle East Technical University (Ankara, Turkey), an MA degree in Performance Studies from Southern Illinois University Carbondale (USA) as a Fulbright Alumni, and is currently a PhD candidate in Performance Practice at the University of Exeter (UK) funded by College of Humanities International Studentship. 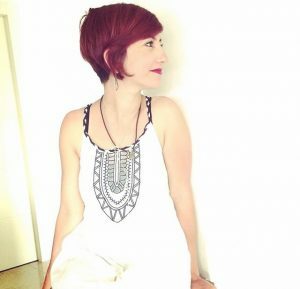 She has worked with critically acclaimed contemporary theatre ensembles in and outside of Turkey including ODTU Oyuncuları / METU Players, Ankara Sanat Tiyatrosu / Ankara Art Theatre, Cornerstone Theater Company (LA) and Double Edge Theatre (Massachusetts). Her current practice as research, which lies at the intersection of gender, performance studies, auto-ethnography and physical theatre, looks at the notion of virginity as a daily female intercorporeal performance with a focus on contemporary Turkey. 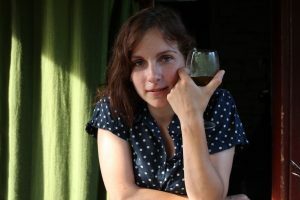 Agnieszka Mendel (Researcher) is a singer, actress, ethnologist, voice and theatre teacher. She is fascinated by the possibilities of the human voice and uses songs from many cultures to search for vocal techniques and emotionality. She has trained in Hindustani Vocal Music at Shriram Bharatiya Kala Kendra in New Delhi and at the Natural Voice Perfection Institute. For 15 years she was closely associated with the Gardzienice Centre for Theatre Practices in Poland where she played leading roles in the performances Metamorphosis, Elektra, Ifigenia in A…, Ifigenia in T…, and Pythian Oratorio, and conducted many workshop sessions for actors and singers from around the world. Poet and composer, co-author and performer of her own music and theater projects, she is the beneficiary of several artistic scholarships and awards for achievements in the arts and the protection and promotion of cultural goods. Maiada Aboud (Guest Artist) is a visual/performance artist whose work deals with ways that social and religious structures interconnect and influence the individual. Using endurance art, Maiada’s interest in social and religious issues draws on a unique and personal perspective. A Palestinian Christian Israeli, she graduated from Haifa University and received further education in the UK, where she completed her Masters at Coventry University and her PhD at Sheffield Hallam University. Her study attempts to connect the social cultural analysis to the individual’s experience by way of using performance and relating it to culture and social life. The intention is to investigate cultural identity using endurance art with the objectives to establish if these performances are linked to collective identities. Garry Cook (Photographer/Videographer) is a writer and photographer. He has contributed articles to over 40 national and international newspapers and magazines. His documentary photography work focuses on social issues, ranging from leisure to war. He completed a Masters in Photography at the University of Bolton. His projects have been delivered in various formats, from exhibitions and in book form, plus more unconventional approaches such as publishing documentary photography Christmas cards and as theatre performance. This theatre-based practice, which included a commission by Fuel Theatre to produce photo-based performance Northern World, has come from a desire to show photography to new and more diverse audiences. 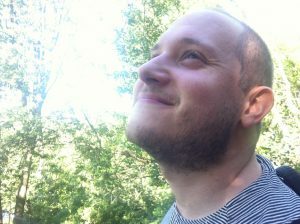 He uses performance, verbatim text, spoken word, music and video to create a unique live experience in viewing photography.